Erika has been practicing yoga for 10 years and teaching for more than six years. Erika has led classes in Northeast Ohio studios, corporations, and CLE yogic experience staples like Balance & Brews. Cycle and climb instruction are new skills she has added to her repertoire, and she is thrilled to have the opportunity to lead them. Outside of fitness, Erika has her MBA and further graduate degree studies in Organizational Management and Leadership, with her doctorate on pause while she has been working on launching Elements. Erika is proudly the oldest sister to five amazing siblings, auntie to five nieces and nephews, and godmother to her nephew Alec. A complete Sagittarius who loves a good scary movie, supports animal rights, and enjoys very dry Chardonnay; Erika is thrilled to meet you and walk with you. Erika has 200+ Yoga hours E-RYT (with 500 in progress), Pilates, Yoga for Golfers, Yoga Shred, Reiki Level 1, Dance Cycle, climb, and that old soft shoe. Elements became my figurative home long before it became my literal home. This space is my sanctuary, my daydream, my challenge, my passion, my pride and my community. Lisa and I met a few years ago in Yoga classes. 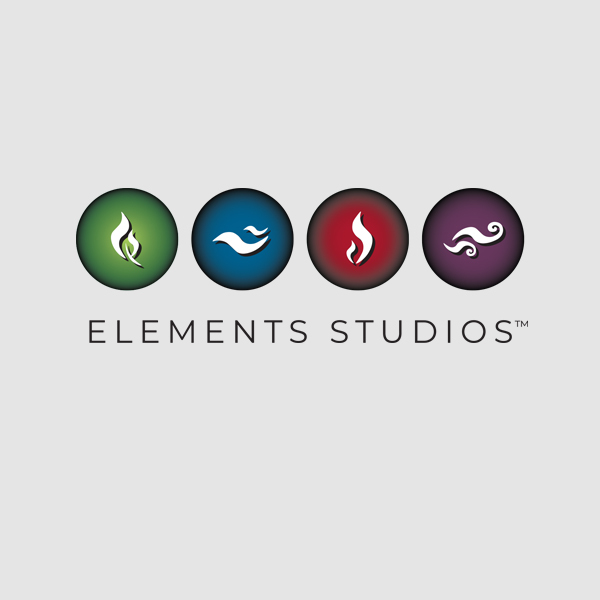 We shared many common dreams and goals that have now manifested themselves in Elements Studios. Naturally, there are a lot of steps in between, but I can say it all started with a life-changing conversation over a martini. Trust in your faith and the universe. Believe in the power of positive thought and do not be afraid of taking risks. It’s ok to be uncomfortable and challenged daily if your intention is to truly grow. Why Elements? Why not Elements? Earth. Water. Fire. Air. What makes your instruction unique? I have been an active member of the performing arts community since I was a very young girl. Singing, dancing, acting—this is what I do. When I found yoga and fitness instruction, it was hard to believe that I felt so passionate toward hobbies unrelated to the theatre. But then, I realized it still was. The studio became my stage. Encouraging people to feel by my words and voice found a new vehicle as I stood in front of a class and said…”I’m Erika…let’s move!” I have a witty and mildly inappropriate sense of humor coupled with a pocket full of “Erika-isms” that seem to find their way into my sequences. It makes me, me. If you had to sum up your teaching style in one word, what would it be and why? Lyrical. My style – whether on a mat, cycle, or climber – is challenging, fluid, and choreographed to breath and purposeful movement. It will make sense. It will make you remember why you started.